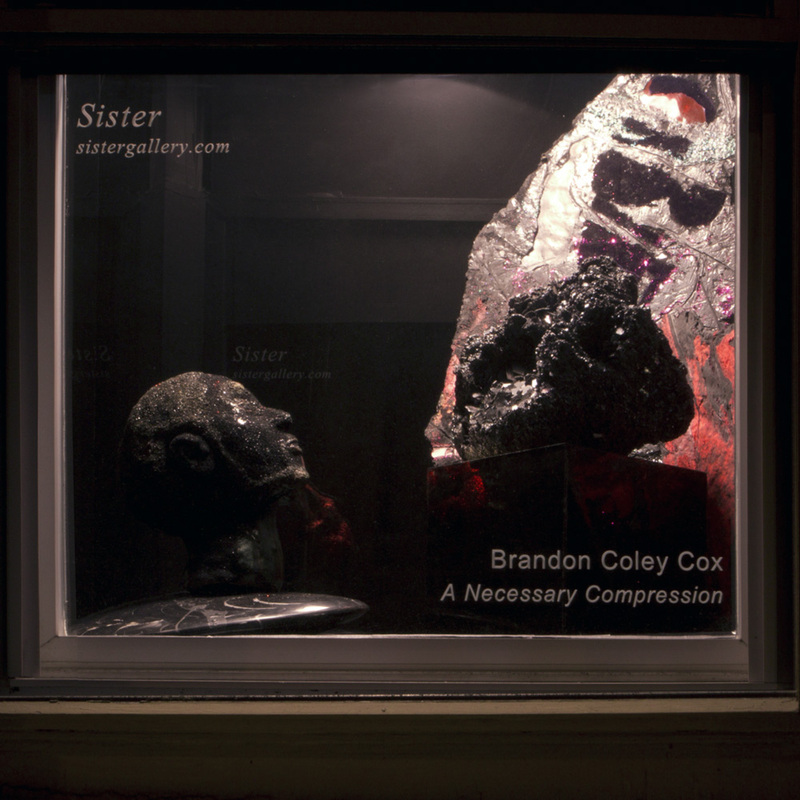 Sister Gallery is very pleased to present "A Necessary Compression" by Brooklyn based artist Brandon Coley Cox. With a stylish personal aesthetic drawn from geological formations and urban decay, Cox combines black diamonds, tire rubber, wooden billboards, ancient fossils and precious gems into a dark and glamorous material which he uses to symbolically construct the portrait of a self as a diamond; produced from the concentration of amazing forces. This construction balances the artist's subjective will, even vanity, with the self as a political subject; the black male identity as a receptive space made dense by compression. By way of analogy, Cox manages to 'reclaim the means of production' (in this case of black male identity) by compressing literal discursive material into a dense and rich medium that can be used in turn to create new symbolic objects. Brandon Coley Cox was born in 1985 in Baltimore, Maryland. He holds a BFA from the University of the Arts, Philadelphia, PA. Attended Skowhegan School of Painting and Sculpture in 2009 and received his MFA from Yale Painting/ Printmaking in 2015.